Your hands are hardworking, and often, they show it. Dry and callused skin. Ragged and broken nails. In fact, your hands tell a whole story about your day. They can show that you spent half an hour washing dishes or had to try to remove skunk spray from your dog with a tomato, essential oil, and dish soap bath. At the end of the day, your hands deserve just as much rest and relaxation as you do, and there are a few ways that you can accomplish this feat. 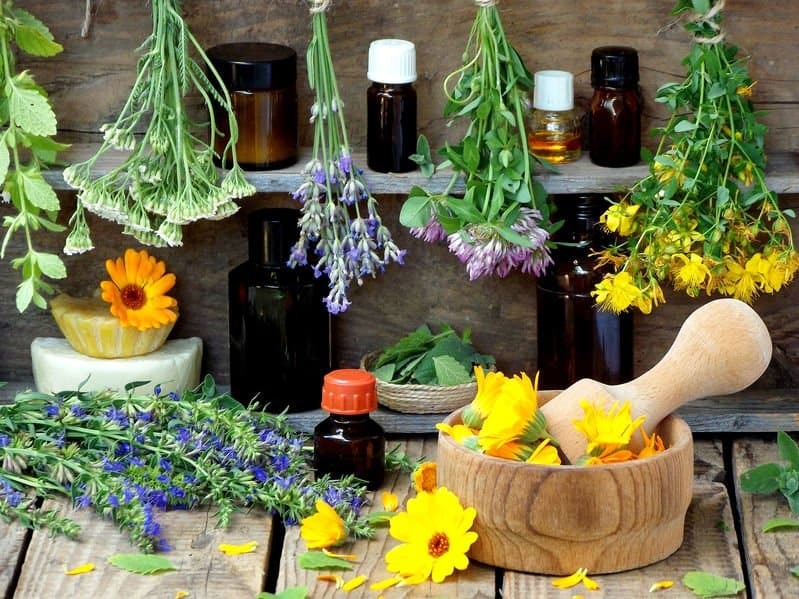 First things first, let’s briefly look at the history of essential oils for beauty products. Our ancestors used the natural world around them for their medical and beauty needs. Essential oils were used for spiritual rituals for their religion, to improve a person’s physical well-being, in their cooking, and for medical purposes. 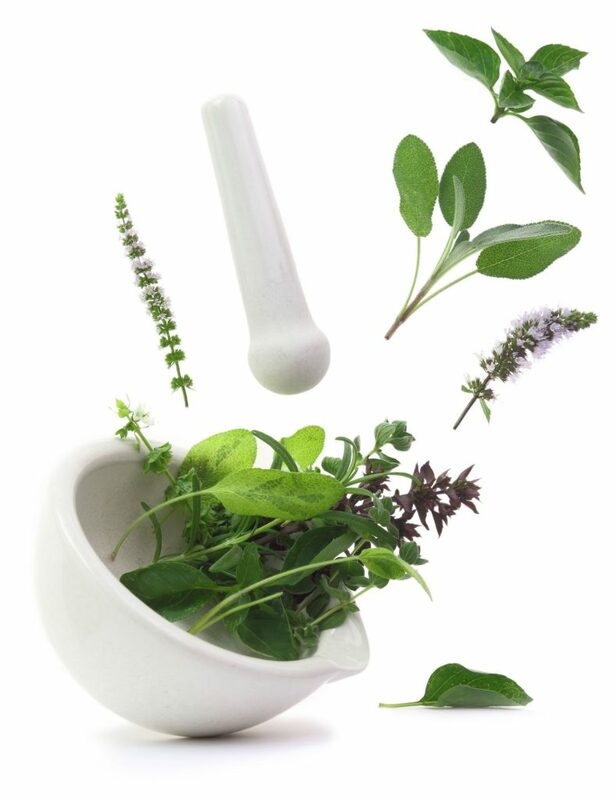 The ancient Egyptians, the Chinese, and Ayurvedic practicing individuals in India, and other cultures all have left behind evidence of them using aromatic plants and essential oils in their daily lives. In Egyptian society, the priests and ruling families had access to essential oils that were used as a part of their daily lives, and beauty was a cornerstone of their society. Cleopatra herself was known to use essential oils, salts, and clays in her beauty regime. Looking at many of our beauty products from the drugstore or luxury mall brands, they are inundated with ingredients that you can’t pronounce let alone know exactly what they happen to be. Many people have started to wonder whether or not it’s safe to be using many of these ingredients that we put on and in our bodies. Yes I agree that it can be frustrating, and that’s why many people have started turning towards the natural world when it comes to their beauty routines. With pure essential oils, you know what you’re getting as well as putting on your skin and hair. In case you are still not convinced, I have written 2 skincare eBooks using essential oils, depending on your skin type, dry/sensitive skin and oily/combination skin. The problem with using our hands so much is that they get dry and our skin can crack. Think of how a nurse or physician is constantly washing their hands in between patients, and you can get an idea of the harm we do to our hands for all of the right reasons. 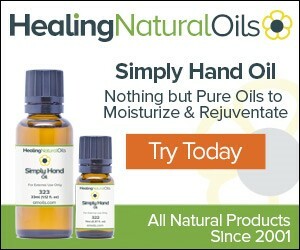 There are several essential oils that are great for our hands and can be applied to make them feel soft and smooth. Qualities that you should look for in essential oils for your hands include anti-inflammatory, moisturizing, anti-aging, prevention of wrinkles and skin rejuvenation. Neroli – Makes the skin smooth, helps maintain moisture and oil levels of the skin and adds a beautiful glow. Rosemary – Topical application or regular massage with a carrier oil helps in hydrating and toning your skin for a healthy glow. Rose – Dilute in a carrier oil and apply to skin to help moisturize and support beautiful looking skin. Chamomile (German and Roman) – Calms skin irritation due to its hydrating and moisturizing properties and add an instant glow…great for sunburns. Myrrh – Add a few drops to your moisturizer to help reduce cracked and dry skin. Sandalwood – Due to its emollient properties, sandalwood helps to moisturize and hydrate dry flaky skin. Carrot Seed – Has the ability to rejuvenate dry and mature skin due to its high percentage of antioxidants. Carrot seed oil helps with sensitive skin as well. Lavender – The most versatile of all essential oils. Do I need to say more. Use lavender in your homemade recipes for healthy-looking and fully-moisturized hands. Your skin will look radiant and firmer. 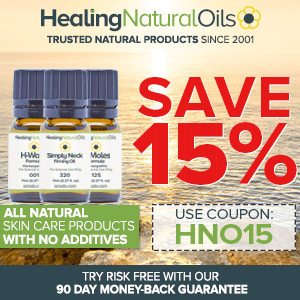 Helichrysum – Moisturizing and will help prevent dryness. Great for those with sensitive skin. Geranium – Solves dry cracked and flaky skin by lubricating and moisturizing skin and the result is smooth and supple skin. Frankincense – Use a few drops of frankincense to your daily moisturizer to boost its performance. Palma Rosa – Helps your skin maintain the moisture balance throughout your body. Excellent for dry skin and keeps the skin soft and moist. Each of these essential oils can be used on their own or mixed with other essential oils for truly stunning results. I provide some great recipes below that incorporate a few of these essential oils in them to help you get the results you want to see for your hands. Our nails can tell people we’ve never met a lot about us. When we want to put a good foot forward, we make sure that our nails look their best. Sometimes, our nails can have issues just like our hands. They can be dry, brittle, weak, and too short. There are some essential oils that can be used on our nails that can make them better. 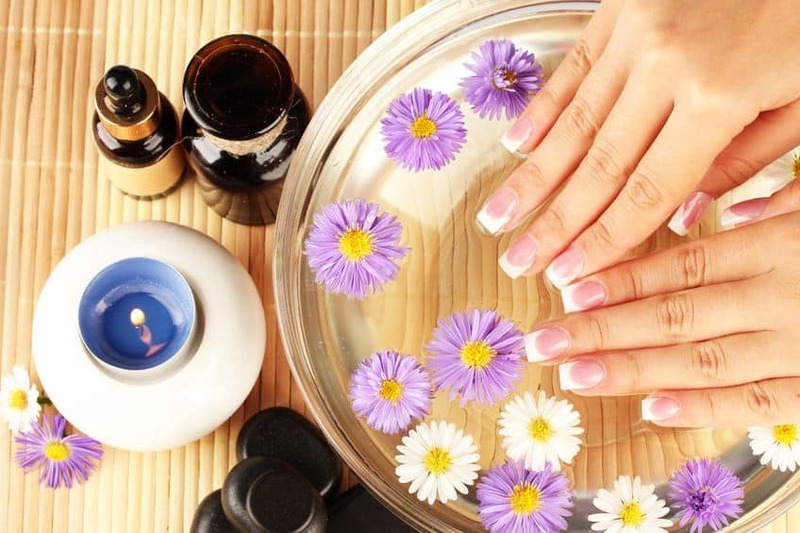 Qualities that you want to look for in essential oils when it comes to your nails are whether or not they’ll moisturize if they help to strengthen the structure of your nails, and if they are helpful for dealing with fungus and bacteria. Lemon – The best oil for dull looking nails as it will nourish the cuticle and strengthen the nails. It will also help brighten your nails and make them look whiter. Myrrh – Known to be the best essential oil for nail growth. Great moisturizing properties that hydrates the cuticles and the nails from breakage. Lavender – Helps to strengthen the nails and the cuticles and keeping them moisturized. Roman Chamomile – One of my favorites when it comes to rehydrating dry cuticles. Tea Tree – The best one for nail fungus, see recipe that follows in the next section. You may notice some of these oils overlap with those that are good for your skin, so when you’re applying your favorite hand recipes, feel free to rub them into your nail bed as well. I also offer some great nail recipes below that will help you with some of your biggest problem areas. Recently, I have been using AMOILS’s latest addition to their repertoire – Simply Hand Oil. This special formula makes it possible to get my hands under control where I no longer feel as though I have to hide them from view from others. They feel softer and more supple. I love being able to spend a little extra time on my hands to make them feel wonderful, and unlike a regular lotion, the smooth sensation stays indefinitely. Click here to read my review on Amoils’s Simply Hand Oil. Keeping our hands soft and smooth can often be a task all on its own. So much of what we do during the day punishes the sensitive skin on our hands, and we don’t take enough time out of the day to care for it. Here are some wonderful essential oil recipes that are going to turn around the way that you view hand care. This recipe is good for aching hands or if you’re just looking to start off your manicure with a good soak. You’ll want to fill up a basin with hot water that’s comfortable to the touch to get the bonus of the heat without burning your hands. In the water, you’ll add two to three drops each of ginger, juniper, cypress, and rosemary essential oils. Let your hands soak in this mixture for at least five minutes or longer to get maximum benefits. This recipe can do wonders for your aching feet as well. A hand butter is a great way to deal with dry skin. You’ll need about four tablespoons of almond oil, a tablespoon of lanolin, two tablespoons of cocoa butter, a tablespoon of beeswax, and about 50 drops of your favorite essential oils. Two exquisite essential oils for this are jasmine and Bulgarian lavender, but you can add grapefruit, lemon, geranium, carrot, or peppermint. You can experiment to find a blend that you like the most. An alternative is to go for my premium 100% pure essential oil blends which are incredibly popular, soothing and relaxing. You can find them here. You’ll need to heat up all of the ingredients except for the essential oils in a double boiler until they are completely melted. Take it off of the heat, and then blend the ingredients together. Allow to cool slightly, and then add in the 50 drops of essential oils. Pour into a mason jar, and let sit for about 12 hours before the first use. This allows everything to marry nicely inside of the sealed jar. One of the best ways to deal with callused skin is creating an exfoliating scrub that will remove the dead skin from your hand and reveal the soft, smooth skin under it. This scrub requires about a half of a cup of sugar and half of a cup of Epsom salt. Stir the above dry ingredients together, and then add three tablespoons of almond oil and six drops of lemon essential oil. Then, mix the wet and dry ingredients together until all of it becomes wet. Keep it in a mason jar, and use about a teaspoon or two to scrub into your hands daily. Make sure to massage the really callused areas gently to work at those calluses. Rinse your hand afterward and pat them dry. A nice moisturizer for dry, cracked skin can be a lifesaver. This recipe calls for about a tablespoon of a carrier oil, such as rosehip seed oil or evening primrose oil, and five teaspoons of apricot kernel oil as well as a blend of essential oils as follows: you’ll need two drops each of palma rosa, rose, and geranium oils along with three drops of lavender essential oil. Mix together well, and keep in a dark glass container stored in a cool, dry place. This blend will help your cracking skin feel energized and help repair the skin over time. One of the best treatments for problematic hands that you can do from home is to invest in a paraffin wax system. At some point in time, it was really expensive to do your own home paraffin wax treatments, and people would spend a lot of money at salons having this done for their cracked and dry hands. What is a paraffin wax system you may ask? A paraffin wax system consists of a basin that heats up to melt the paraffin wax. After the wax heats up to a liquid state, you dip your hand into the wax. The oils from the wax and any added essential oils will start to harden on your hand. You should leave the wax on for about a half an hour before peeling it off. It is in fact a fairly inexpensive piece of equipment and great value-for-money for what you get. Check it out here. The heat of the wax is soothing, and people that have arthritis in their hands can feel the difference after this simple yet effective treatment. The benefit here is that your skin will be soft and smooth as the heat from the melted wax helps the oils penetrate into your skin effectively. Depending on how large a system you purchase, you can also get the same benefit for your feet or other body parts you’re able to dip, such as elbows. Sometimes, you may have a specific nail issue that you’d like to conquer using your favorite essential oils. Here are a few recipes that you can use for issues with your nails to help promote strength and overall better nail health. I am sure you’ll agree that each one of us would like to get longer nails without having to go to the salon for fake nails. This recipe will help you all achieve your goals. Take a tablespoon of your favorite carrier oil, argan oil or hazelnut oil are both good, and then blend it with 3 drops each of these essential oils: lemon, frankincense, and myrrh. You may smell a bit like Christmas when you rub this oil into your bare nail 2-3 times a day, but you’ll be so glad you did as your nails will start to lengthen and get stronger after a couple of weeks. If you find that you have a problem with your nails flaking or splitting, you’ve got brittle nails. A great solution for this is for you to take five lecithin capsules, and squeeze out the contents. Thereafter, add in a tablespoon each of castor and wheatgerm oil, four drops of rosemary and six drops of lemon essential oil. Blend them well together. You can apply a few drops of this mixture on your clean, bare nails several 2 times a day. Massage into your nails and you can also buff your nails to add to the shine. Nail fungus on your hands or feet can be a rather embarrassing problem that no one wants to admit that he or she is facing, and sometimes, finding a good cure for this issue that doesn’t involve chemicals can be hard. This recipe will help you tackle this issue with just a few natural products and help your nails boot the fungus issue for good. You’ll need five drops of tea tree oil, two drops of cinnamon bark, and a tablespoon of neem oil. Neem oil is a natural oil that is pressed from a tree’s seeds in India that have been used for medicinal, and fungicidal use for centuries. If pure, cold-pressed neem oil is not available, you can use calendula-infused oil instead. Evenly blend the oils, and store them in a dark glass bottle to keep them from losing their therapeutic benefits as UV light can make them less effective. Apply this blend of oils under and around your nails twice a day, every day until your fungal problem has been resolved. One of the biggest issues that people have with their hands that can make them look ragged and unkempt are cuticles. Plus, not taking good care of your cuticles can cause you to get hangnails, and those are rather painful. All in all your cuticles can be rather annoying, so a cuticle softener that will help make it easier to move the cuticles down or remove them can assist with your nail care routine. You’ll need a teaspoon of jojoba oil or argan oil depending on your carrier oil preference, two drops of peppermint and eucalyptus essential oils, and five drops of carrot seed oil. Mix all oils together, and apply them to your cuticles. Massage this mixture in gently, and it should start to soften your cuticles enough for you to work with. You can add this to your daily routine to keep your cuticles where they should be and add a little extra pampering to your day. Your hands are one of the most important parts of your body. WHY? They make it possible to use your phone (just joking!). Type your work emails. Care for your children. Help your parents make dinner. Our hands are part of our first impression of being neat, clean and manicured…to how well we handle a handshake. It’s amazing how much we can take our hands and nails for granted. The above essential oils and recipes are the perfect way to help give your hands and nails a little Tender Loving Care (TLC). 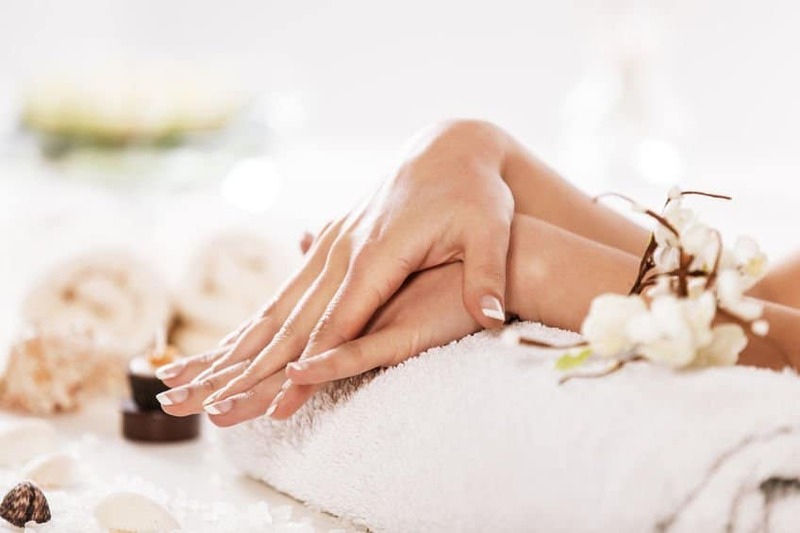 Everyone needs a little pampering from time to time, and giving yourself a little manicure with these recipes is the perfect way to relax while caring for your hands. As nail service, can I combine myrrh and lavender as strength, moist& growth in my lotion that is not scented. This was a most easiest method you shared on this page with the outstanding steps to eliminate the dryness from the Sensitive skin of body in a seven days and increase the beauty of skin by using essential oils daily according to the period of a time after the recommendations of a doctor and remember the instructions of a doctor which help you to eliminate this kind of skin dryness ,My suggestion is you must go to a doctor one time in a week for starting of proper treatment of eliminating dryness appeared on the Sensitive skin of body for increasing the beauty of skin in a summer season due to the effect of sun rays,keep it in your mind don’t work in the light of sun because the heat of sun with the dust particles of sun rays increase the rough dryness and cracks with lines on the skin due to the demaged of skin layers cells after the working of some time you notice the color of skin become black and cracks with lines are increased on the Sensitive skin of a body this is also a effect of skin cancer . So take care of skin and avoid to work in a light of sun . you also use a mask on the face if necessary to work in the light of sun and also use carrot in the food salad . Hi Olivia which recipe/oils would work best for that aged look of the hands. Apart from the paraffin wax treatment. Amzoil? You could try one of the other recipes or if you are after something pre-blended, indeed, I would suggest Amoils’s one, Simply Hand Oil. Do you have any idea of when Ocotea essential oil will be available? You can purchase Ocotea here.